Motorola seems to be gearing up to unleash a wave of Android 8.0 Oreo updates onto its entire line-up of Moto Z devices. We first saw Android 8.0 Oreo release notes show up for the Moto Z2 Force, and we are now seeing same for the 2016 Moto Z indicating that the update itself will likely begin rolling out some time in the near future. Android Oreo comes with numerous enhancements over Android Nougat, such as faster booting, new Settings and Quick-Settings UI, Picture in Picture (PIP), Adaptive icons, Autofill, Notification timeout, Motorola might also add several new features to the latest software update. Android 8.0 Oreo update for the Moto Z would also feature the latest December 1st 2017 Security Patch. 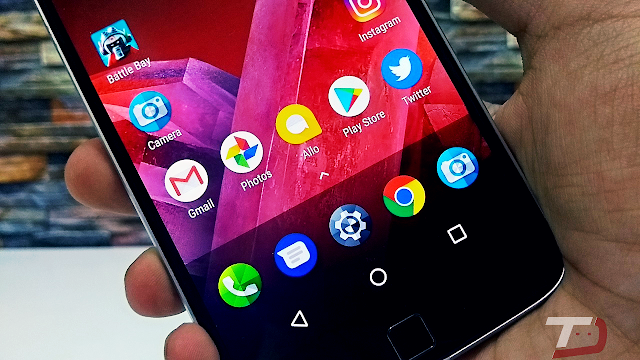 So, the company is most likely to start Android 8.0 Oreo official rollout for the Moto Z by the end of this month or early January. We will let you know once the update is live for everyone. Stay tuned to our Facebook and Twitter page to get the first News. We are excited to announce a new software update for moto z by Motorola. This update brings Android™ 8.0 Oreo to your phone along with other improvements. Android™ 8.0 Oreo: Many enhancements including new multitasking features, security capabilities, improved notifications and performance. Android security: Includes the updates of Android security patches until December 1st 2017.